The hype surrounding the huge showdown between UFC star McGregor and boxing legend Mayweather was staggering. The bout was forecast to break all kinds of records, and whilst Sky Sports recently revealed that it smashed its Pay per View record in the United Kingdom, the figures have not yet been released for the US. But, one area that the fight really struggled in was getting people to put their hand in their pocket and buy a ticket to enter the T-Mobile Arena. By all means this was no easy feat due to the insane prices that were placed on the various tickets, and although they generated $55.4 million and became the second-highest boxing gate in history, it fell short of the record set by Mayweather and Manny Pacquiao in 2015. 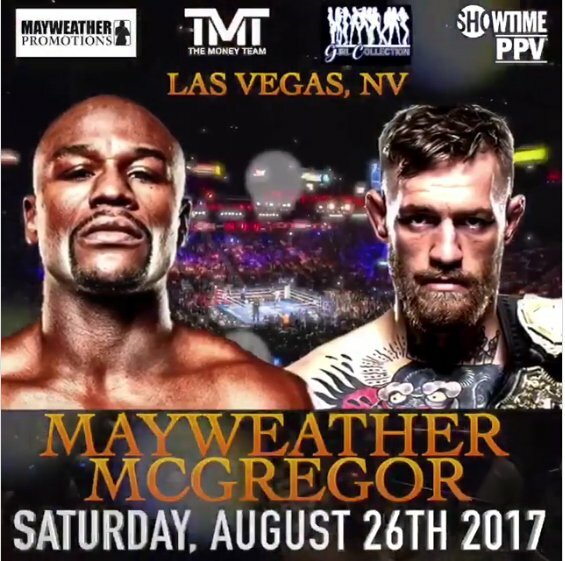 Research reported that there over 7,000 empty seats inside the T-Mobile Arena on 26th August, which is crazy for a boxing match that was anticipated by the masses for months. As a boxing spectacle, the opinion is quite divided; many people feel that the Irishman on his debut performed exceptionally against an undefeated, established boxer, and considering he landed 111 punches, which is 30 more than Manny Pacquiao managed in 2 less rounds. However, a large portion of people, especially in the boxing community, feel McGregor definitely doesn’t belong at the top level of boxing, and that Mayweather carried him for many rounds to give the fans some excitement. Ultimately, at least the fans got to see 10 rounds of boxing, a rare stoppage from Mayweather, McGregor land some punches and Mayweather break Rocky Marciano’s record with his now 50-0. The two fighters made millions from the fight, and so did the UFC, and despite the gate-receipt figures being rather disappointing, the event is still set to become the most lucrative fight in boxing history. Sponsorships, merchandising, PPV and the addition of the gate receipts are predicted to break the $620 million set by Mayweather and Pacquiao. Nevada State Athletic Commission, who was the sanctioning body for the bout and the one who approved 8oz gloves, revealed that 13,094 tickets were sold and 137 were given away as complimentary. This takes the overall figure to 13,231, which is far short of the 20,500 capacity that the T-Mobile Arena boasts of. On the contrary, Mayweather Promotions provided a different figure, and stated that the attendance to their knowledge was actually 14,623. Either way, there were still a lot of empty seats around the venue. Further reports from the Nevada State Athletic Commission claim that Mayweather, who has now properly retired for good, has participated in six of the last seven highest-grossing gates in boxing. The top 7 gates which have been recorded in Las Vegas have all featured Money Mayweather and only Lennox Lewis’ colossal clash with Evander Holyfield in 1999 doesn’t feature the self-proclaimed The Best Ever. All in all, both men have become incredibly rich by putting on an unprecedented event which harmonised two combat sports…the UFC and boxing!